I often use automation on effect plug-ins to create little interesting variations to sounds, or for doing some completely wild and unconventional effects. This involves recording parameter changes — usually a few times before I get it close enough to what I want, and then manually modifying the recorded automation. Not exactly a hard job, but it can become a bit tedious to do. 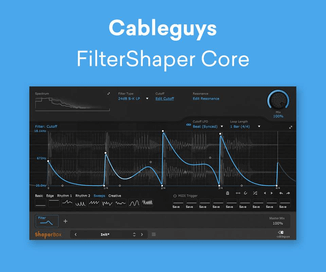 Cableguys offers some plug-ins to make life easier, including FilterShaper 2, an advanced effect plug-in that allows you to draw volume, pan, and filter modulations. FilterShaper allows you to easily draw your own waveforms with impressive precision and unparalleled ease. Using the unique waveform drawing tool, you can construct your own modulation curves in a very intuitive way. 2 flexible filters — modulate cutoff and resonance settings, as well as pan and volume. Run in parallel or serial mode; 6/12/24dB ranges with low-pass, high-pass, band-pass, notch and peaking shapes. Waveform drawing capabilities — draw custom waveforms with great ease. Store up to 10 customized waveforms for use in any of the available LFOs. Useful waveform tools include copy/past, reverse, randomize, and more. Modulation options — a modulation matrix allows for connecting the 4 LFOs with cutoff, resonance, volume and pan targets, for both filters (+ volume and pan for master output). LFOs are free-running (0.02 Hz to 5.24 kHz) or synced to host (1/128 note to 32 bars). Automation — Every FilterShaper 2 parameter can be automated, including waveform shapes and breakpoint movements. 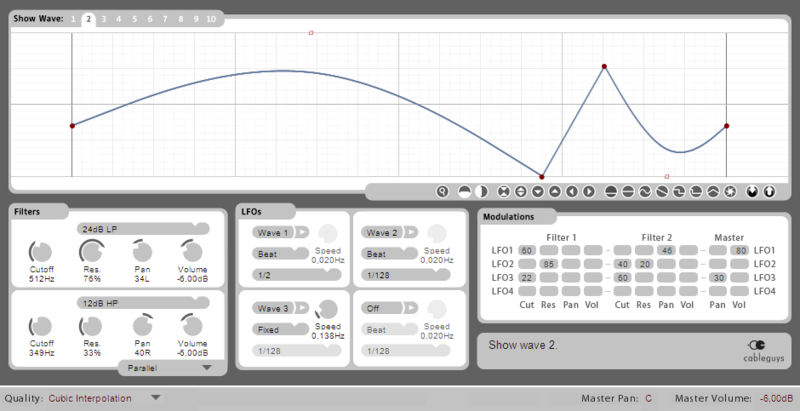 The interface of FilterShaper is pretty straightforward; envelope waveforms in the top of the screen, the filters, LFOs and modulation matrix in the bottom. To create your envelopes you set breakpoints in the waveform area — right mouse click for hard breakpoints, left mouse click for soft ones. The points can be modified by dragging them around to adjust the waveform curves. The soft point can be converted to a harder one by clicking on it. Another click will turn it into a hard point, and yet another click will delete the particular breakpoint. In total you can assign 20 breakpoints for each of the 10 available envelopes. A handy snapshot function lets you save your waveform, so you can copy it to one of the other waveforms or simply to use it as a backup. Note: FilterShaper doesn’t have an undo/redo function but the undo function of my host works just fine. However much fun drawing these envelopes is, it would be pretty useless if they didn’t modulate anything. Each one of the envelope waveforms can be used to drive one of the four LFO’s, which individually can be free running or beat synced. Still, the envelopes and LFO’s won’t do us any good if we don’t use them to actually modulate anything. 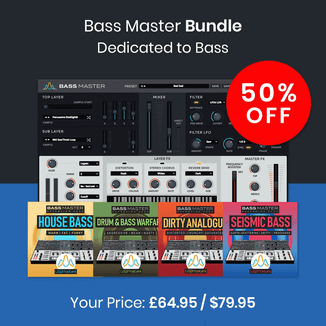 The modulation matrix allows each LFO to be the source for modulating the master volume and panning, as well as volume, panning, cutoff and frequency of both filters. Just click and drag on the modulation cell to set its value, including negative values which basically inverts the waveform. Simple eh? Check some of the audio demo below to get an idea of what FilterShaper can do. FilterShaper is exactly what it claims to be; an effect that allows you to create complex volume, pan and filter modulations with ease. 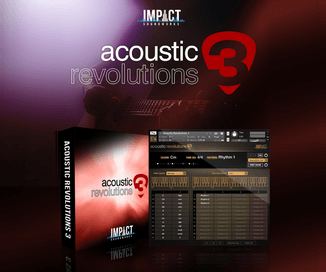 It is likely possible to do much of what FilterShaper does with the help of some free effect plug-ins and/or your host’s native effects. However, FilterShaper’s strength lies in bundling the filters, LFO’s and envelopes into one intuitive and user-friendly package. FilterShaper is the perfect tool for anyone who likes to create advanced modulations, whether subtle or wild, without breaking a sweat. Cableguys is offering a very generous demo version so go check it out for yourself and let me know what you think. Thanx for your research into this, Ronnie! I use some plugins like CamelPhat which can provide automation because I often find it too fiddly to draw in stuff to Ableton Live — which can’t snap to breakpoints YET — but this looks like it has additional depth. The UI looks pleasantly minimalist, like Live itself or even SoundHack plugins.